The Cellar Upstairs Wine and Jazz Bar is located on the top floor of the San Sebastian Winery in St. Augustine, Florida. This restaurant provides a one-of-a-kind atmosphere, with impressive views, live music and a great selection of house wines and beer. Guests can enjoy light appetizers combined with their favorite San Sebastian wine or imported or domestic beer. Guests can park here on First Friday Art Walk and enjoy the rooftop before or after their Art Walk adventure. The view from the open deck is spectacular, especially as the sun goes down and the city lights up. There is no cover charge to enter the Cellar Upstairs wine and Jazz Bar. 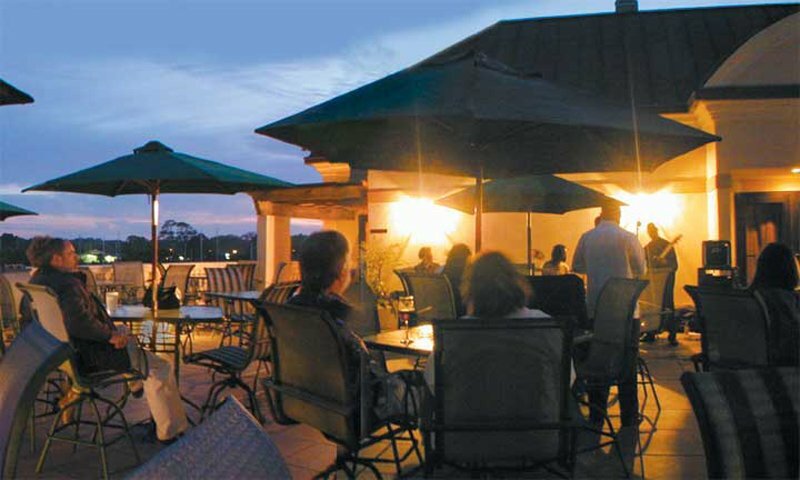 The Cellar Upstairs features eclectic live music, including jazz, R&B and blues, on Fridays and Saturdays from 2 to 11 p.m. and on Sundays from 2 to 5 p.m. To see the full calendar of performers, please click here.